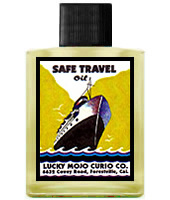 line of hoodoo products helps ensure protection on the road and in foreign lands. are used for luck, gambling, and protection. The voice of authentic Cuban Palo and Dominican Sanse in the United States, with special guests representing the entire range of African Traditional and Diasporic Traditional Religions, telling it true from the ancestors to you! Party is Friday the 6th. Party is Friday the 15th. The Banksia Roses and Wistarias are in full bloom. Life smells lovely. The folks in the shop are hard at work making oils, bath crystals, and sachet powders, while nagasiva and i are hard at work on books. We are producing 5 new titles for the Hoodoo Heritage Festival, and we will show you their covers and tell you all about them in the April newsletter! However, for all of the rush and bustle, this has also been a sad month. Our old friend and former employee Diana Edler passed away after a brave struggle with failing health. She was a true friend, and those who have shopped with us in years past will remember her as the buyer for the shop, a gifted lab worker and maker of products, the chief customer service outreach person and, of course, the beloved mother of the head of our shipping department, Eileen Edler. Diana was a lot more than that, too -- she was a Renaissance re-enacter and a science fiction geek supreme. Her smile and her friendliness were bestowed on all she met, and she was a fantastic cook, seamstress, all-around animal-lover, and den-mom to anyone who sought her out. We will miss her terribly, for her life was too short, but she left us with some great memories. Hail and farewell, Diana. You were much loved. One of the greatest advantages of attending the Hoodoo Heritage Festival is the chance to meet talented and skilled hoodoo rootworkers face-to-face. Every year, bonds are made that last a lifetime and we're proud to be a part of the magic. This year's featured readers and workshop facilitators come from a variety of backgrounds, each bringing years of expertise from their practices in divination and magical remediation. Papa Michael: The proprietor of Torch and Key Spiritual Supply in San Jose, California, Papa Michael is a healer and rootworker. After healing work as a paramedic in Oakland, CA, Papa Michael sought to continue healing through spiritual avenues. He studied sorcery, witchcraft and Reiki, learning to spiritually heal his clients. He will be teaching a class on how to make and use sachet powder. Valentina Burton: Dallas Psychic, Palm, Tarot, and Astrology reader, spiritual counsellor and purveyor of hoodoo goods, Valentina will be part of the panel on Lodestone Magic. She will also be available in the Reader's Tent for tarot and palmistry readings. Susan Barnes: A member of AIRR and Hoodoo Psychics, she is an intuitive reader, root worker and published author. Susan is best known for money attraction work, communicating with departed loved ones and removing ancestral curses. She teaches people how to shift their energy in order to receive abundance, prosperity and success and will be bringing her knowledge of practical spellcraft to the Lodestone Magic Colloquium. Susan will be available in the Reader's Tent for intuitive card readings and energy shifting work. Miss Elvyra: A member of AIRR and a reader and rootworker at Missionary Independent Spiritual Church, Miss Elvyra has over forty years experience in tarot card reading, astrology, numerology, conjure doctoring and spellcasting, qabala, geomancy, feng shui, bone reading, hypnotherapy, creative visualization, Reichian breath work, Reiki energy work, Amanae bodywork, Wicca, hoodoo, and Hawaiian navigational energy work. She is teaching a class in working with archangels and angels. She will also be available in the Reader's Tent for tarot readings. Marin Graves: A lifelong student -- and teacher -- of metaphysics, psychic phenomena, religion, folk magic, and divination, Marin Graves is a certified paranormal investigator and the proprietor of The Parlour, a Victorian themed tarot boutique in historic Grass Valley, California. She will be one of the panelists on the Lodestone Magic Colloquium and will available in the Reader's Tent for tarot readings. Candelo Kimbisa: Host of the popular talk show Candelo's Corner, where all spiritualities meet, and creator of the Candelo Kimbisa line of spiritual products, of West Palm Beach, Florida. Candelo will teach how to make a personal protection amulet in the Palo Kimbisa tradition. He will also be available in the Reader's Tent for Chamalongo readings. Miss Phoenix LeFae: An intuitive tarot reader, freelance writer, spiritual consultant, rootworker, ritualist, and teacher of Goddess Spirituality. Miss Phoenix is a candle server at Missionary Independent Spiritual Church and a member of Hoodoo Psychics, where she is well-known for clearing crossed conditions and healing work, as well as for providing magical coaching to those who desire one-on-one training in spellcraft. She will be teaching Hoodoo Shrines and Altars: Sacred Spaces for Rootwork and Conjure. She will also be available in the Reader's Tent for tarot readings. Miss Michaele: The proprietor of Hoodoo Foundry and pastor of Aunt Caroline Dye Memorial Chapel in Willetts, California, an AIRR Associate, Miss Michaele is also the Chairwoman of the AIRR Pro Bono Fund, which distributes free readings and rootwork to those in need. She is the co-author of "Hoodoo Bible Magic." 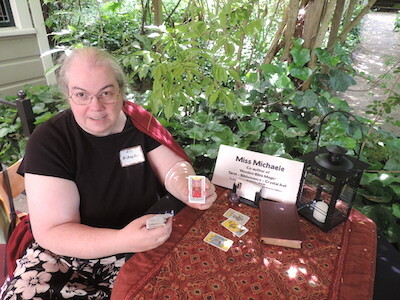 A well-known reader at Hoodoo Psychics, she will be bringing her spellcraft knowledge to the Lodestone Magic Colloquium and will also be available in the Reader's Tent for tarot and Bibliomancy readings. Deacon Millett: The pastor of Four Altars Gospel Sanctuary candle ministry in the Southern California High Desert, an AIRR Associate, a member of the Board of Bishops of Missionary Independent Spiritual Churches, and the founder of the online Hoodoo Psychics reading service, Deacon Millett is best known for his love spells, reconciliation magic, and astrological compatibility readings, He will debut his new book on Hoodoo Return and Reconciliation Spells: True Love Magic in the Conjure Tradition. He will also be our Reading Wrangler - see him first to schedule your personal readings. Madame Pamita: Owner of Madame Pamita's Parlour of Wonders in Santa Monica, CA, she has performed internationally, telling fortunes and playing oldtime music on the ukulele with her traveling medicine show. As a reader, rootworker, teacher and Hoodoo practitioner in the New Thought/Spiritualist tradition, her goal is to empower you and to provide a helping hand to assist you in finding the path to your success. She will be on the panel for the Lodestone Magic Colloquium and will available in the Reader's Tent for tarot readings. Prof. Charles Porterfield: A gifted Old Testament, old-school worker, and natural man, Professor Porterfield specializes on men's issues as well as the Biblical and Judaic influences in hoodoo. 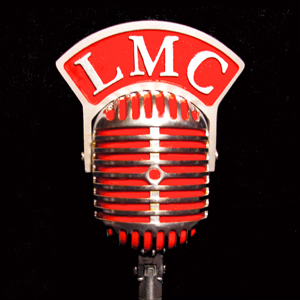 He is the General Manager of the LMC Radio Network, the host of The Now You Know Show, and the co-author of "Hoodoo Bible Magic." He will be teaching "A Deck of Spells: Hoodoo Playing Card Magic in Rootwork and Conjure." He will also be available in the Reader's Tent for consultations on lucky numbers, Bibliomancy, and playing cards. Khi Armand: The proprietor of Conjure in the City in Brooklyn, New York, an AIRR Associate, and a reader at Hoodoo Psychics, Khi is a shaman rootdoctor well-known for his transformative hands-on spiritual healing and cleansing work with personal clients. This year he will be teaching Deliverance! : Hoodoo Spells of Uncrossing, Healing, and Protection, and offering private healing and blessing appointments during the weekend. Ms. Robin: The Bay Area's premier spiritual sister, a gifted reader, root worker, and radio personality. She, along with miss catherine yronwode, founded the Annual MISC Hoodoo Rootwork Workshops. She is best known for her money spells, gambling spells, love spells, curse spells and doll baby spells. This year, Ms. Robin will provide instruction on Money Magic and she will also be available for crystal ball and spiritual readings. Miss cat yronwode: The co-owner of the Lucky Mojo Curio Co. in Forestville, California, an AIRR Associate, a member of Hoodoo Psychics, Pastor of Missionary Independent Spiritual Church, catherine will debut her new book Paper in My Shoe: Name Papers, Petition Papers, and Prayer Papers in Hoodoo, Rootwork, and Conjure. She will also be available in the Reader's Tent for tarot and palmistry readings. 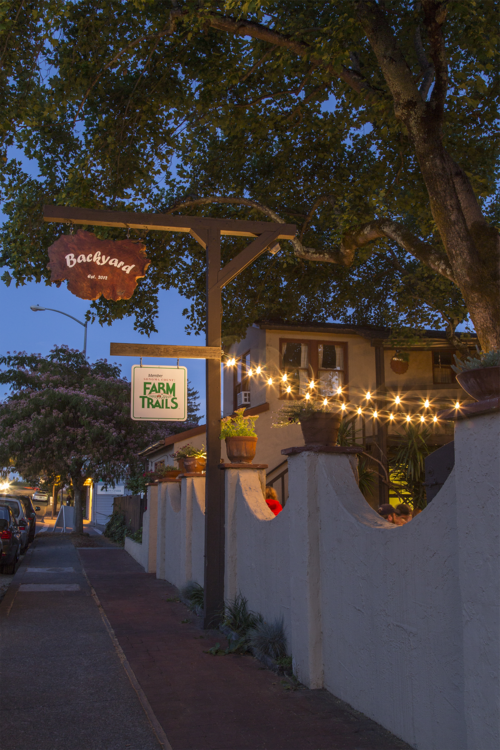 Following Saturday's workshops and psychic readings at this year's Hoodoo Heritage Festival, presenters and guests are invited to a catered dinner at Back Yard; a seasonal, sustainable Sonoma County-inspired restaurant in Forestville. There, Professor Porterfield will be our Master of Ceremonies, turning a magical day into a magical evening with wit, humour, and blessings while we fellowship and feast together. This year is shaping up to be our best festival ever! As always, we will have two days of great presentations and an array of talented readers to handle your questions in person. Vegetarian, Local Wild Caught Fish, or Beef. A mixed green salad and dessert will be included with the entr�e. Beverages other than water may be obtained, Cash and Carry, from Back Yard restaurant, at which this special event is to take place. This year's festival will open with a ritual performance by KHI ARMAND, JAMILA JONES, and ANDREA WESTON bringing together prayers, songs, and dances, from throughout the African diaspora. 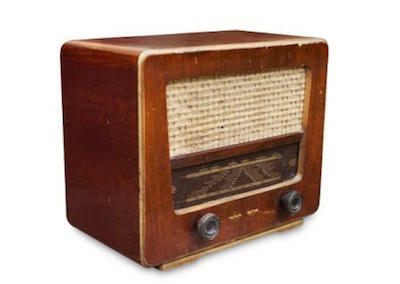 These will be followed by dramatic presentations that bring to life the black Southern rootworker informants interviewed by Harry Middleton Hyatt in the mid-20th century. An altar is a sacred space that separates the mundane from the magical. In hoodoo, altars are used for a wide variety of reasons, conditions, and needs. From working with ancestors to focused conjure spells, the altar is a place where the magic happens. In this workshop, MISS PHOENIX will address some of the mystery surrounding altars and give steps for building powerful altars for your work. TAKE-HOME: An altar cloth and a free copy of Phoenix LeFae's brand new 96-page book Hoodoo Shrines and Altars: Sacred Spaces in Conjure and Rootwork. Enjoy a buffet-style lunch included in the price of your registration. Pre-schedule an appointment with your favourite reader. MADAME PAMITA will also entrance us with voice and ukulele. Don't miss her amazing renditions of hoodoo songs! 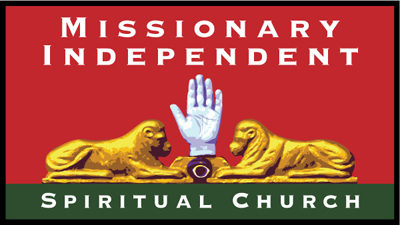 Food provided by the Ladies Auxiliary of Missionary Independent Spiritual Church, under the direction of MOTHER KATRINA. Learn how to make name papers, petition papers, and prayer papers for use in your magic and as spells in and of themselves. This highly informative workshop demystifies these staple tools and techniques found in the hoodoo tradition so that you can craft more clear, powerful rootwork. TAKE HOME: A pew pencil, assortment of papers, and cat yronwode's new 96-page book A Paper In Your Shoe: Name Papers, Petition Papers, and Prayer Papers in the Hoodoo Rootwork Tradition. Learn spells of Protection and Road Opening in this workshop on Afro-Caribbean magic taught by CANDELO KIMBISA. Participants will craft a road opening macuto and witness demonstrations of lamp and bowl spells that they can make at home. TAKE-HOME: A Road Opening macuto and a two-page handout on Afro-Caribbean magic. MS. ROBIN is well known for her amazing gambling spells and the large money altar she maintains for her private clients, and she brings her lifetime of luck to this workshop! Whether your personal abundance comes from a weekly paycheck or weekend casino winnings, your prosperity can be enhanced through the application of her many hoodoo tricks for attracting cash and increasing profitability. We can't guarantee that you'll hit the jackpot after studying with Ms. Robin, but you'll definitely learn how to materially enhance your money-drawing, money-winning, money-keeping, and money-building rootwork skills. TAKE-HOME: A pack of specially prepared and blended Money Herb Mix and a two-page handout on money spells. A deck of spells is waiting for you to take them up. Generations of rootworkers and hoodoo practitioners have carried cards with them to see the future and change the present. Now PROFESSOR PORTERFIELD will be teaching the ins and outs of using playing cards for spells and charms, plus authentic oldtime divination methods as well! TAKE-HOME: Deck of playing cards, Sharpie pen, and Professor Porterfield's new 96-page book A Deck of Spells: Hoodoo Playing Card Magic in Rootwork and Conjure. 7:00 PM -- Presenters Banquet at Back Yard for Presenters and guests. Limited to ticketed seating. Archangels are powerful beings and facets of the Divine that work with individuals of all beliefs and spiritual paths. What are the differences between angels and archangels? How can we work with them in conjure? Find out in this enlightening workshop! TAKE-HOME: A bottle of 7-11 Holy Type Oil, a white candle, and a two-page handout on working with angels and archangels. Learn the history of sachet powders in African American hoodoo, see how they are compounded from raw ingredients to finished product, and learn some tricks from a traditional practitioner on how you can use them in spells of rootwork and conjure. 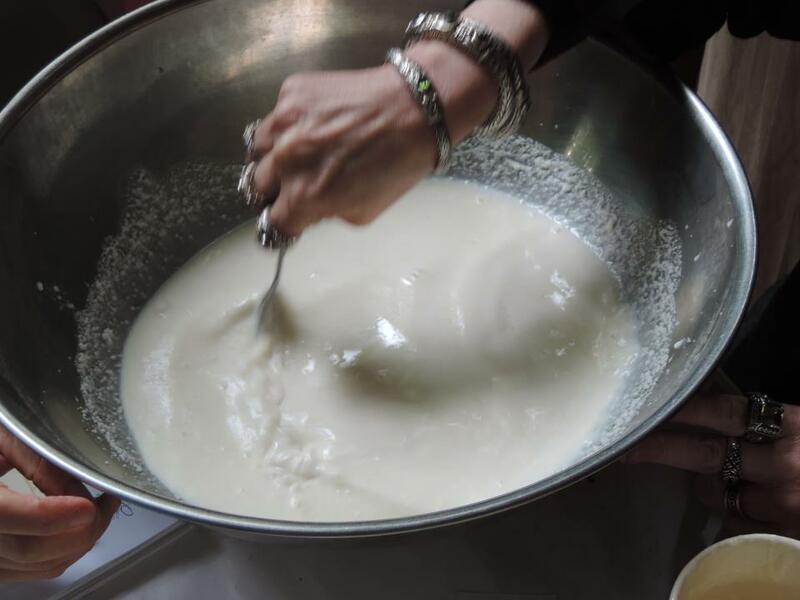 TAKE HOME: Tools and ingredients for powder-making, and together we will create a spiritual sachet powder for you to take home. Another delicious buffet-style lunch (included in the price of your registration), plus appointment times available to meet with your favourite readers. Food provided by the Ladies Auxiliary of Missionary Independent Spiritual Church, under the direction of Mother Katrina. What to do when love goes wrong? That's the single most asked question for those turning to conjure and hoodoo. DEACON MILLETT is back with a second look at love, this time detailing reconciliation rootwork -- the art of returning a lover, healing a relationship, and keeping a marriage working. TAKE-HOME: A free copy of Deacon Millett's brand new 96-page book Hoodoo Return and Reconciliation Spells: True Love Magic in the Conjure Tradition. This year's panel discussion, led by VALENTINA BURTON, SUSAN BARNES, MARIN GRAVES, MISS MICHAELE, MADAME PAMITA, and APOLLO DARK, explores the diverse ways that these simple mineral magnets are employed in spells for money, business, true love, friendship, and success. Learn how to name them, how to feed them to keep them working for you, and how to harness your desires to their drawing power to bring what you want into your life. Don't miss this magnetic presentation -- every year's panel discussion brings forth a wealth of new ideas and time-tested knowledge! TAKE-HOME: A matched pair of small lodestones and a packet of magnetic sand, plus a two-page handout on lodestone spells. Have you been crossed up or jinxed? Experiencing chronic difficulty in life? 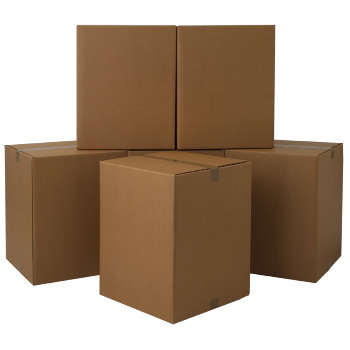 It's time to be delivered! This practical, down-to-earth workshop on remediating magical curses and self-sabotaging patterns using tools and techniques from the Southern Conjure tradition will help you open your roads to success! Learn how to perform uncrossing work, protect yourself and your family from harm, bring healing to old wounds, and work with your dreams to achieve your goals. No matter the circumstance, deliverance is yours today! TAKE-HOME: Cast Off Evil Bath Crystals, and Khi Armand's new 96-page book Deliverance! : Hoodoo Spells of Uncrossing, Protection and Healing. As all good things must come to an end, join the circle of new friends and old as we say goodbye and wish each other well! Let's exchange business cards, our specialties, and continue to reach out to one another! Until we meet again, we hold each and every person, being, and ancestor, in our highest thoughts. Every year YIPPIE (the Yronwode Institution for the Preservation and Popularization of Indigenous Ethnomagicology) holds a fundraiser Book Sale at the Hoodoo Heritage Festival. Used books, pamphlets, CDs, VHS Tapes, and DVDs, many connected to occultism, divination, magic, religion, philosophy, and spirituality, will be available for sale. To make this fundraiser effective WE NEED YOUR HELP with donations of books and media. You can mail them to YIPPIE in c/o Lucky Mojo Curio Co., drop them off in the YIPPIE office next door to the Lucky Mojo shop, or bring them by during the Hoodoo Heritage Festival and place them on the YIPPIE Book Sale tables yourself! For the first time, the Hoodoo Heritage Festival will be hosting a Crystal Silence League table. You will be able to pick up information on the CSL, learn about its origins, and how you might get involved with this free international prayer service, as well as purchase books and crystals to help your own prayer or crystal gazing process. Attention Hoodoo Correspondence Course graduates! 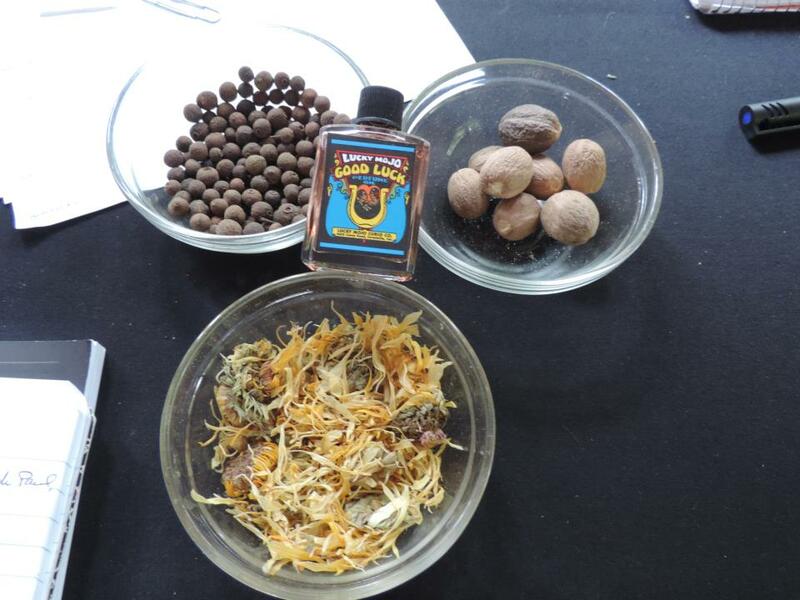 It's time to take advantage of the opportunity to do some hands-on training supplemental to graduation from the Hoodoo Rootwork Correspondence Course! Do you have a desire to become a professional rootworker or hone your rootworking skills? 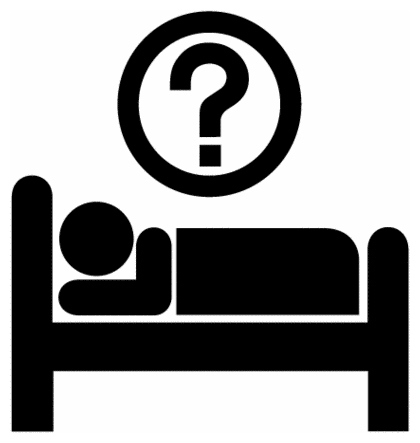 Do you dream about opening your own shop? 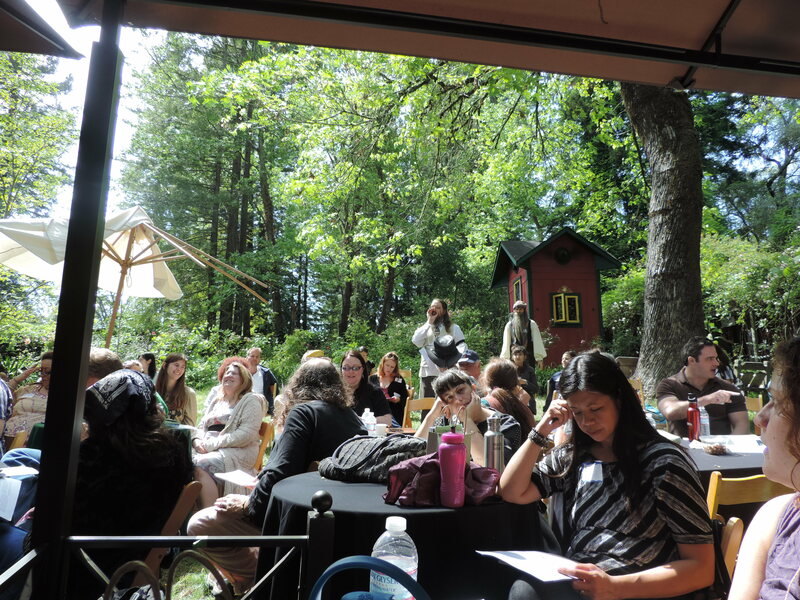 Have you wanted to meet with other like-minded practitioners? You can do all of these things and more when you attend the Hoodoo Apprenticeship Week. The next Apprenticeship will take place May 11th through May 15th of this year. During the week leading up to the Hoodoo Heritage Festival we will be offering the Week One Apprenticeship! 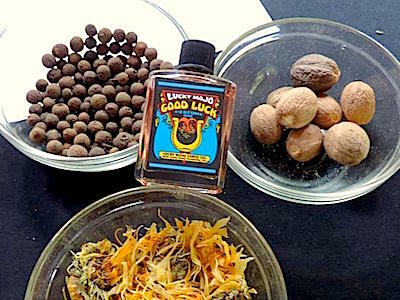 Graduates of the Hoodoo Rootwork Correspondence Course are invited to come and receive a free in-depth folk magic education right here at Lucky Mojo under the direction of catherine yronwode and Shop Manager, Heidi Simpson! The Apprenticeship Program consists of nine lecture classes of 3 - 4 hours each, plus nine hands-on training sessions of 3 - 5 hours each, organized into three one-week training sessions. Apprentices need not take the three weeks of sessions in order. 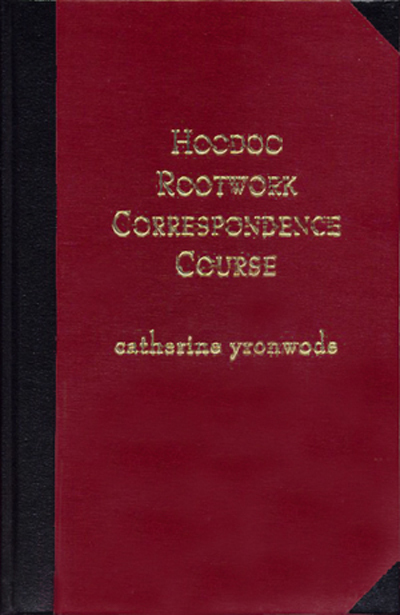 The Program is open to all graduates of catherine yronwode's Hoodoo Rootwork Correspondence Course. During the week there will also be opportunities to mingle, hang out, and share meals with the Lucky Mojo staff. More details on these events as the Apprenticeship gets closer. There is NO COST for Apprenticeship training because it is conducted strictly on the basis of labour-for-labour trade. Over the course of a five day Apprenticeship Week, apprentices receive about 20 hours of lectures and hands-on training and in turn they perform about 20 hours of work for the shop. If you cannot sit or stand for a 40 hour work week, you should NOT attempt to attend this apprenticeship. To join in the Apprenticeship Program you must be a Graduate in good standing of the Hoodoo Rootwork Correspondence Course. Any graduate may take the Apprenticeship training, but it is especially recommended for those who wish to go on to work for clients or who want to start their own occult shop and would like to become familiar with the actual work involved with this. Course students who have not yet graduated are eligible for Apprenticeship training ONLY if they bring all of their homework with them the day before the Apprenticeship starts and if catherine passes it. Apprentices are required to sign a Non-Disclosure Agreement, to provide for their own room and board, and to attend all 40 hours of studying, learning, and making spiritual supplies. Upon finishing all three weeks of the Apprenticeship over the course of three one-week sessions, a certificate is issued at no cost, signifying that the training was completed. 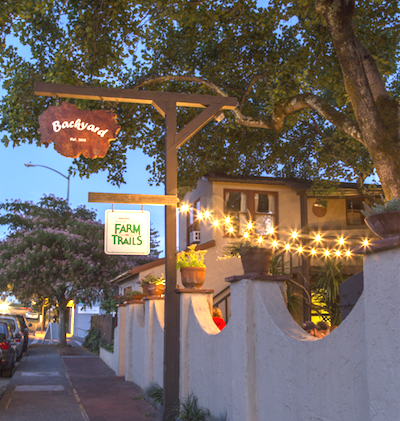 Space is limited, so if you want to attend the May 2015 Apprenticeship, Week One, email Heidi NOW at heidi@luckymojo.com or telephone the shop at 707-887-1521, Sunday through Thursday, 9 to 5 Pacific Time. 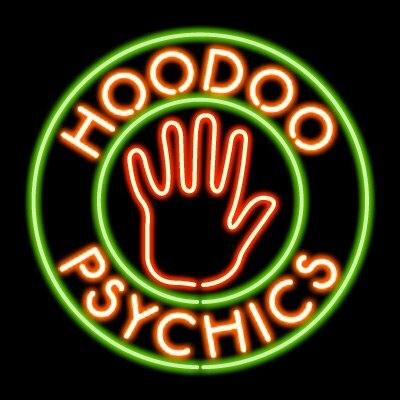 Book Your Psychic Reading at the Hoodoo Heritage Festival! Do you have a favourite member of AIRR? Is there a reader that you've always wanted to meet in person? Well, now is your chance! This year we will have the tent open for readings between presentations, during lunch breaks, and in the evenings. Deacon Millett will be our Reading Wrangler, making sure that everyone who wants an appointment gets one. This is the perfect opportunity for you to get a face to face reading with one of the talented readers from the Association of Independent Readers and Rootworkers. This year, all readings that take place during festival hours are being scheduled in advance, so book yours today! Availability: Will help find you an available reader. Cost: Will take your reading payment via cash or credit card. Scheduling: Will schedule your reading in advance. Availability: May 16 - 17 from 9:00 AM - 5:00 PM, except when attending workshops. Cost: $26.00 / 20 minutes; payment in cash or pre-pay via Paypal. Cost: $30/ 20 minutes; payment in cash or pre-pay via Paypal. Cost: $30.00 / 20 minutes; payment in cash or pre-pay via Paypal. Availability: May 16 - 17 after 5:00 PM; one reading per evening only. Availability: May 16 - 17 from 9:00 AM - 6:00 PM, except when attending workshops. Cost: $30 / 20 minutes; payment in cash or pre-pay via Paypal. Well, this newsletter was long, tall, and fully packed, so i shall add little more to it. Check out the FREE SPELLS and be sure to use your discount coupon and save a few bucks. Remember you have until April 30th to get Regular Prices for tickets to the Hoodoo Heritage Festival! See you next newsletter.